Wawasum Energy is the first majority-owned First Nations high voltage and construction (PC) company in North America. With majority Aboriginal ownership, Wawasum Energy is passionate not only about providing quality and cost-effective service in the construction and maintenance of power delivery projects, but also providing opportunities to Aboriginal individuals and their communities. Modern Clan created the Wawasum Energy brand. We than took the brand and applied to a full stationery package and, followed by a design of all of Wawasum Energy’s communications materials, building signage and program materials. 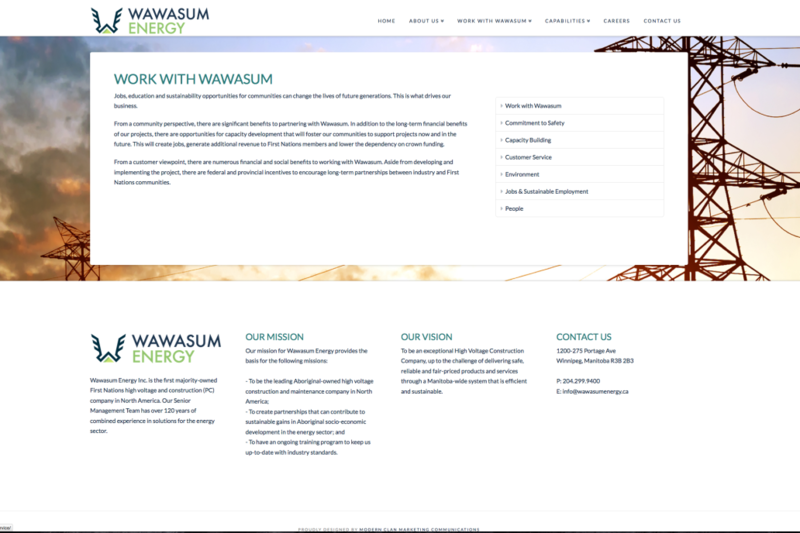 Modern Clan also designed and developed the Wawasum Energy website. 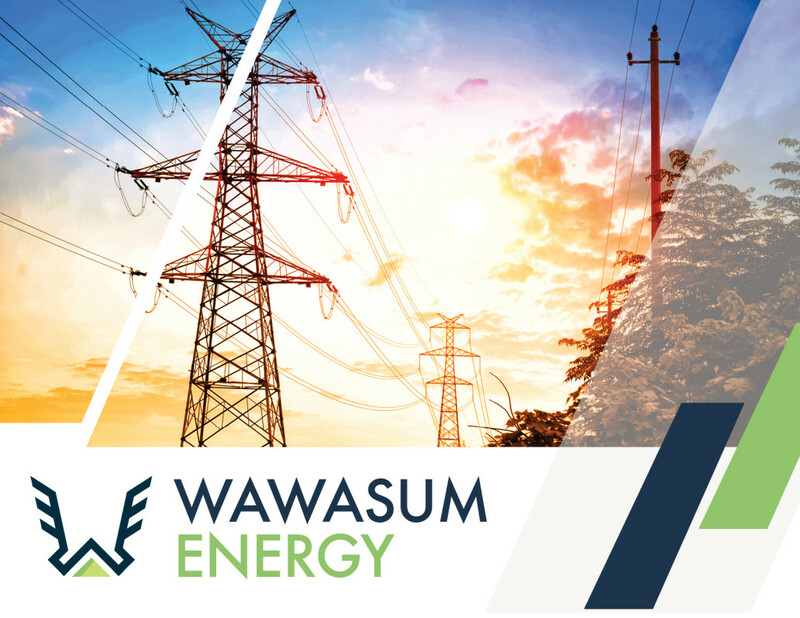 Since launching the new brand and website, Wawasum Energy’s team and clients have responded positively to the new look and feel. The brand has brought new life to the high voltage and construction company and has helped cultivate strong brand awareness of Wawasum Energy and their services within the industry.